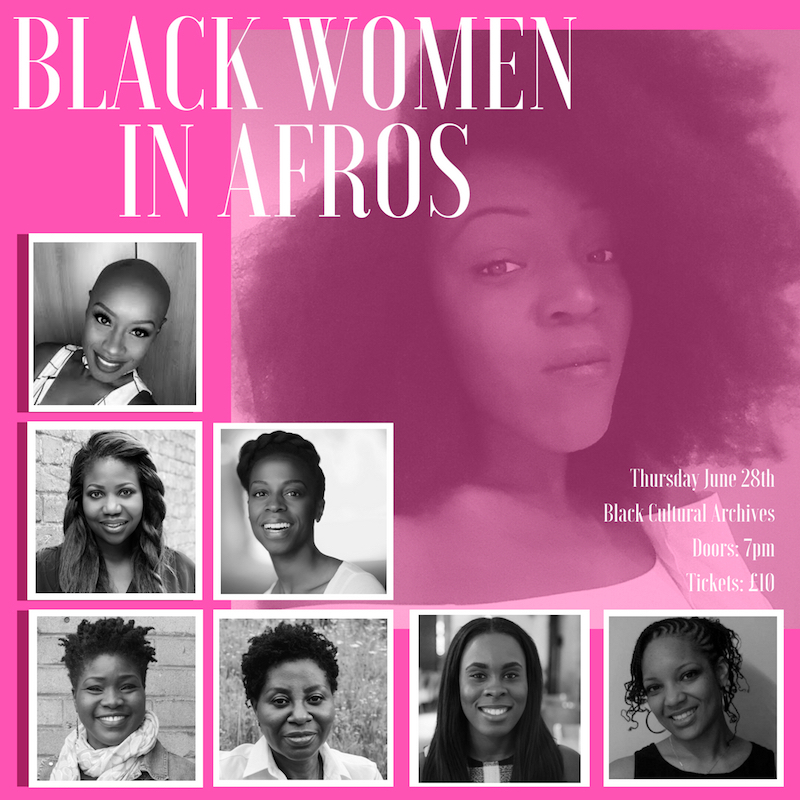 Black Women in Afros is an evening of lively discussion about Black women and our afros. It takes place on Thursday 28th June and will be a safe space of hair sharing with a panel of industry experts who know what it means to be natural and are ready to share their stories. The panel consists of Lekia Lee, founder of Project Embrace, Josephine Otuagomah, founder of The Black Hair Book, Paula Francis, co-founder of SuperFoodLX, Stella Lucien, co-founder of Afrocks, Charlotte Mensah, an award-winning hairdresser and Victorine A.A.Sika, founder of LuxeCurlsU.K. Josephine Otuagomah is the founder of The Black Hair Book - a web platform helping people with afro and curly textured hair find hairstylists in London. Josephine created the platform because like many black women, she struggled to find a good hairstylist. Paula Francis is the director and plant-based nutritional advisor for vegan hair and skincare brand, SuperFoodLX. Paula co-formulates with her mother for every beauty product where her rigorous standards for maintaining healthy, luxurious cosmeceuticals of the highest nutrient content can be seen in each recipe’s construction and efficacy. Stella Lucien is co-founder and Head of business development of Afrocks; an online marketplace that connects afro and natural hair stylists with clients for in-home services. She has been involved in the afro natural hair movement since 2003 when she stopped relaxing her hair and transitioned to wearing it in its natural state. This turn was the beginning of a journey towards self-consciousness and a healthier lifestyle. Charlotte Mensah is the in-demand woman of the moment in the hairdressing world. Hot off the back of winning ‘Afro Hairdresser of the Year’ for the third time, she now takes her place in the Prestigious Hairdressers Journal Hall of Fame. As an award-winning hairstylist, owner and artistic director of the Hair Lounge salon. So passionate about hair, Victorine A.A. Sika has over 20 years of experience as a hair therapist and hair & beauty educator. She recently launched LuxeCurlsU.K; the first ever Natural Hair Spa which focused exclusively on Afro, Coils and Curly hair. Black Women in Afros takes place on 28th June 2018 at 7.00pm at the Black Cultural Archives, 1 Windrush Square, Brixton, London SW2 1EF.